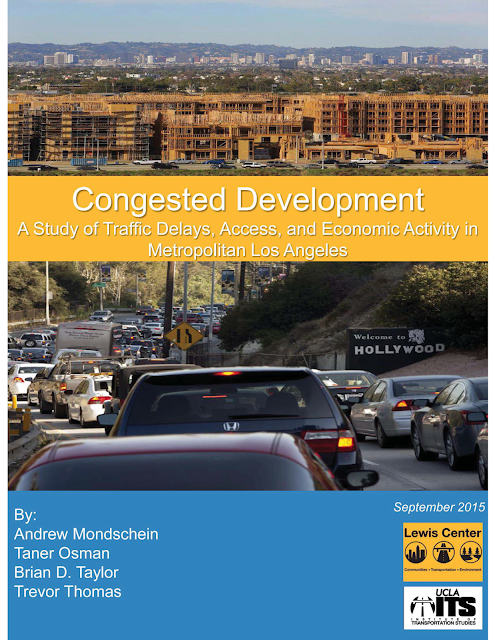 Join us live Friday, 28 October, from 13:30-15:00 PST, as we cover the new research, "Congested Development? Rethinking the Causes and Consequences of Metropolitan Traffic Delays," by Dr. Brian Taylor of UCLA. Dr. Taylor is a Professor of Urban Planning for the Luskin School of Public Affairs, Director of the Lewis Center for Regional Policy Studies, and Director of UCLA's Institute of Transportation Studies. If you cannot attend in-person, there will be a live video feed.